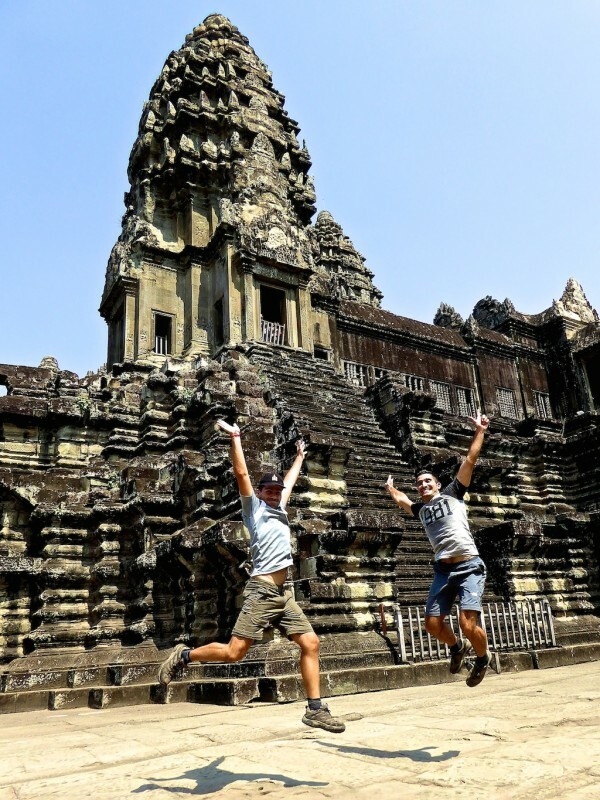 But, if like us you are limited with time, we've put together a 2 days itinerary, enough for you to get a good taste of Angkor Wat and the fun city of Siem Riep. 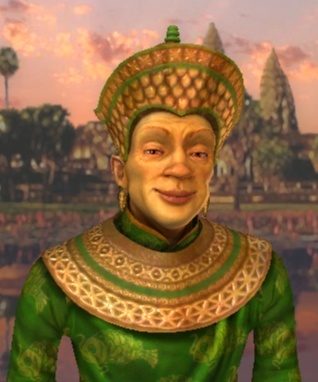 Wat is the Cambodian name for “temple” and Angkor Wat was built as a Hindu temple in the early 12th century (around 1113-1150 AD) over an estimated 30 years by King Suryavarman II. It may have been intended as the funerary temple for King Suryavarman II. 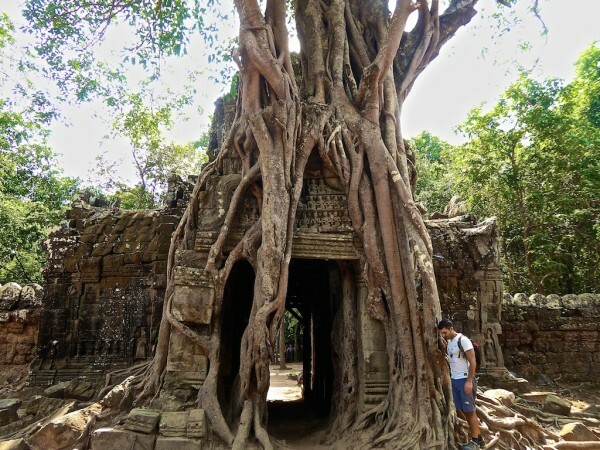 Angkor Wat is one of many temples around a large space of land, including the former walled city called Angkor Thom and the famous Ta Prohm where the Angelina Jolie “Tomb Raider” film was located. 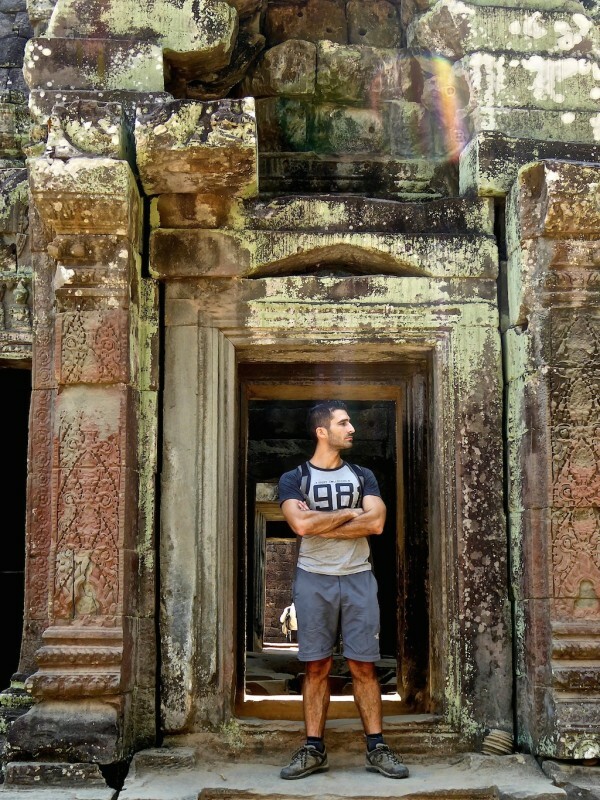 Where to stay in Siem Reap? Romantic stay in Siem Reap. Amazing Buffet breakfast and beautiful swimming pool. Prices start from $130 / £85 for a double room with breakfast. Fantastic budget option, clean, comfortable with large outdoor pool. Prices start from $15 / £12 for a dorm bed. They also offer private rooms. The distances between the temples are large, so we definitely recommend arranging a tuk tuk ‘tour’ or renting a motorbike. You can arrange a tuk tuk to take up to 4 people around the temples for $10-20 split between you. The tuk tuk driver will stop and wait for you at each temple. 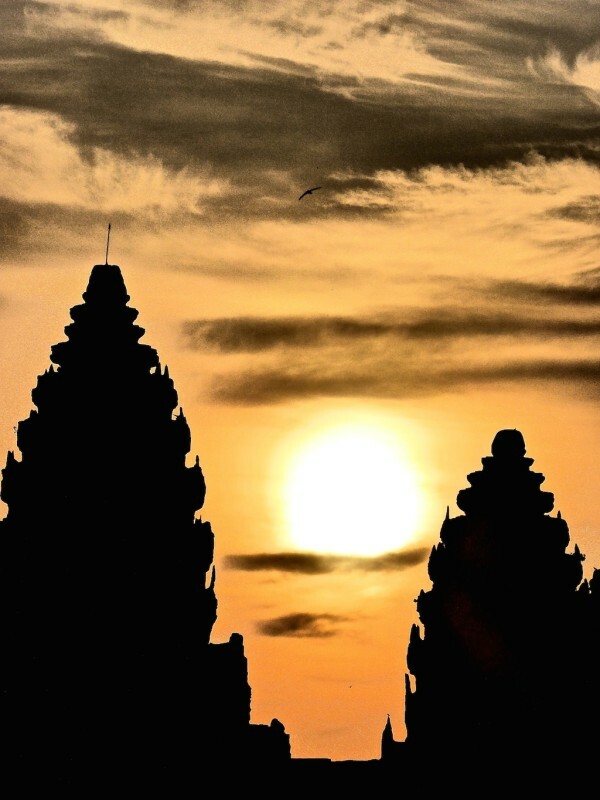 Start the day early by watching the sunrise at Angkor Wat from 6am at the main (West) gate. Take a takeaway breakfast from your hotel to maximise your time there. Most hotels will be accustomed to this. Our goal: trying to keep as far away from this as possible! 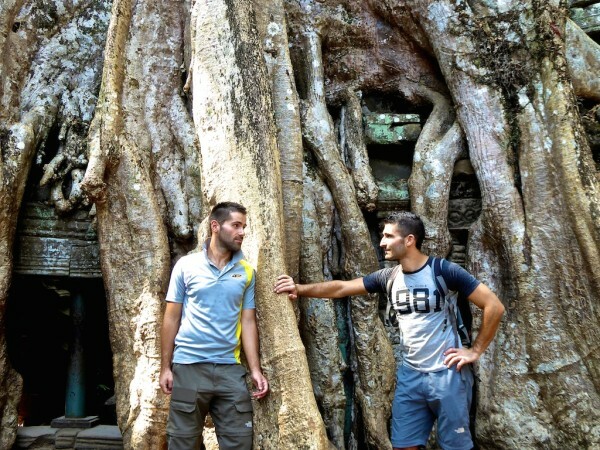 The next stop takes you inside the former walled city called Angkor Thom. 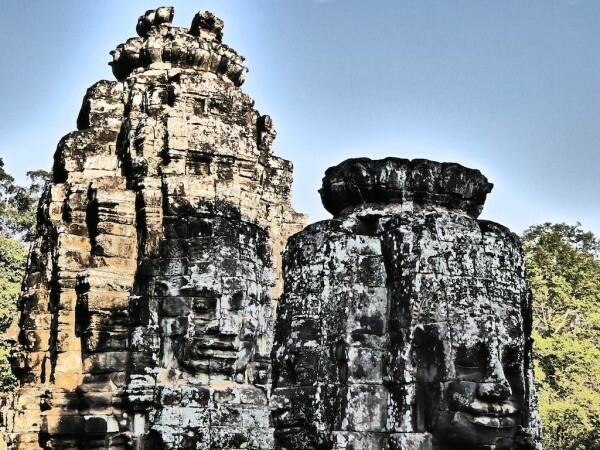 Look out for the distinctive Bayon temple with faces carved into the stone walls. The final temple for today is Ta Prohm where the Angelina Jolie ‘Tomb Raider' film was located. Ta Prohm is also famous and unique for the ancient trees literally growing out of the ruins. Head back for lunch at your hotel and rest before the evening’s excursions. If your accommodation doesn’t offer lunch, grab a tasty baguette from one of the many street food vendors in town. The Phare Circus was one of our highlights in Siem Reap. It is a charity to help street kids and orphans develop skills to express themselves through art. We watched a show about a girl called Sokha who lived through the terrible Khmer Rouge regime in the 1970s and is haunted by it afterwards. Sokha used music, dance and drawing to over come her nightmares and inspired others struggling to do so as well. There are subtitles on large screens to explain things but the show was well produced, which made it easy to follow. Tickets were $18 for unreserved seats and $45 for reserved seats. We got the unreserved seats and arrived at 7pm to queue and got good central seats in the middle. Head to Le Tigre de Papier in the heart of the central Pub Street area for dinner. Le Tigre de Papier menu is reasonable and offers a variety of Western food and Cambodian foods like fish Amok, beef Lok Lak. 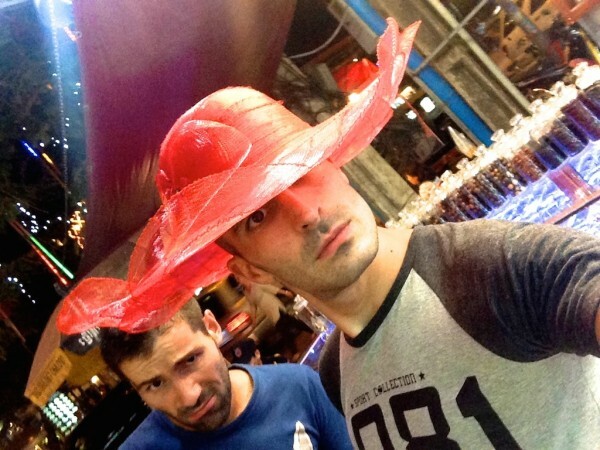 End the evening with a stroll through the famous buzzy Pub Street and a cocktail at a bar like Miss Wong. If visiting in mid April, join in the water splashing and talcum powder fun during the Khmer New Year festivities. Start a bit later today around 10am with another ‘tuk tuk' tour and head straight to Angkor Wat. 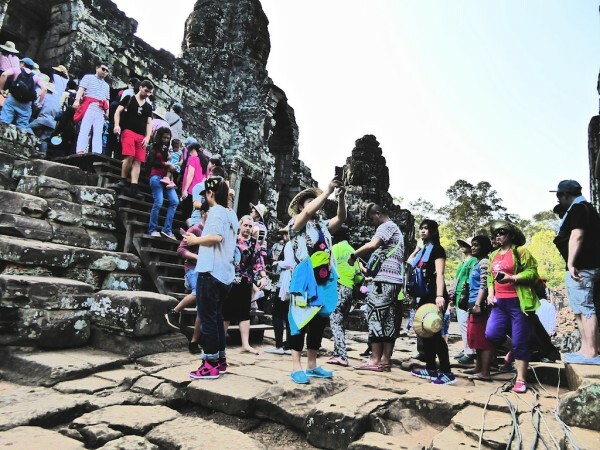 By this time, the sunrise crowds package tour crowds will have moved on to Angkor Thom and Ta Prohm. Try to take a packed lunch with you in order to maximise your time. 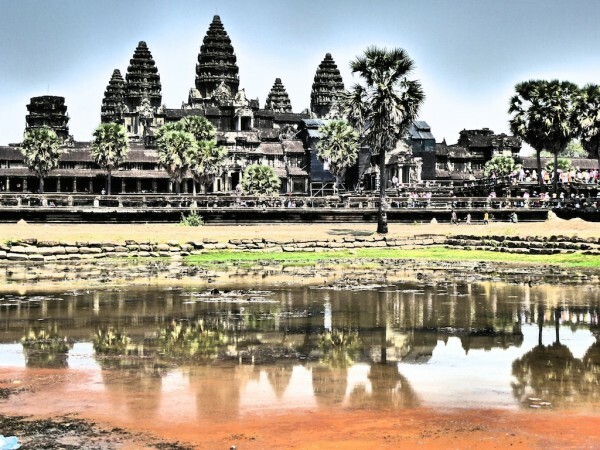 The majority of your day will be spent exploring Angkor Wat. It is huge, impressive and we recommend spending at least 2 hours exploring it. Head to the small Ta Som temple after Angkor Wat, located on the Northeast side of the Angkor Thom walled city. 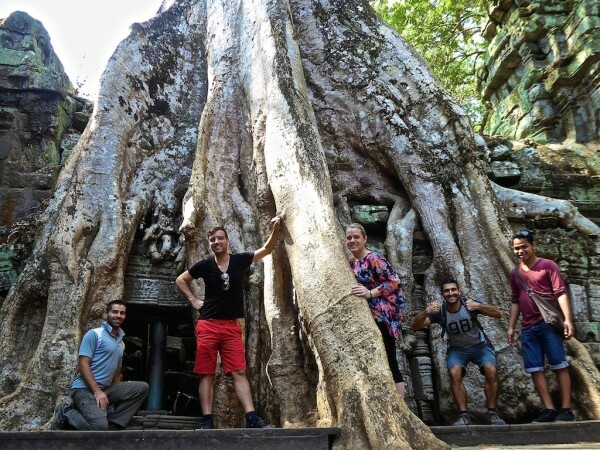 Ta Som is famous for its Eastern gate with a beautiful ancient tree growing out of it. Ta Som is a smaller and less frequented temple, so there will be far fewer people there than the headliner temples. The final temple for today is the large Preah Khan temple located further East from Ta Som. 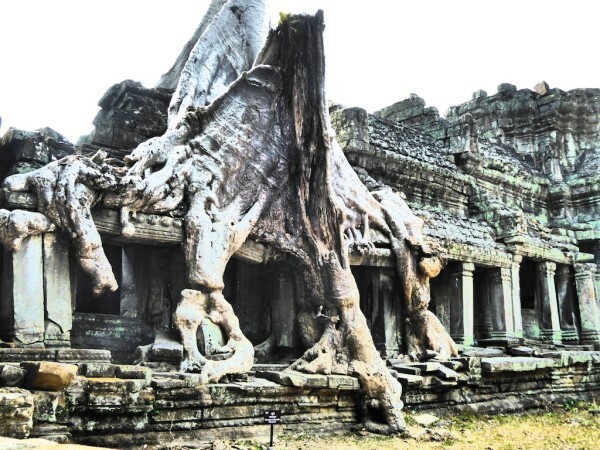 Preah Khan is similar to the ‘tomb raider’ Ta Prohm with beautiful ancient trees growing out of it. Depending on your belly and time, this will also make a good stop for your packed lunch. 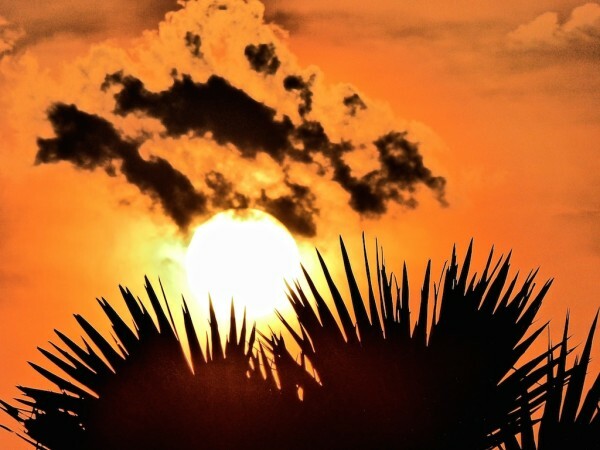 Most people will head to the Phnom Bakheng hill for sunset. We do not recommend coming here because it gets too busy and as Angkor Wat is located East from Phnom Bakheng hill, you will not see the sun setting anywhere near it there. We instead recommend heading to the less frequented Pre Rup temple, for a more peaceful experience. There are far fewer people then at Phnom Bakheng but with the same view. 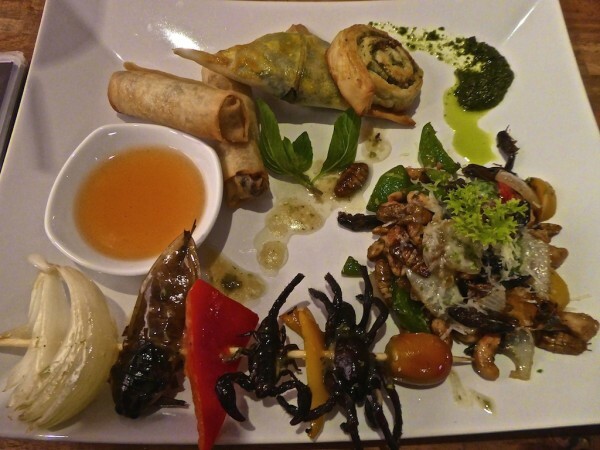 Head to the BUGS Café for dinner and for a taster of something different! Cambodians make the most of everything when it comes to food and insects are easy to rear, high in protein and make a hearty meal. 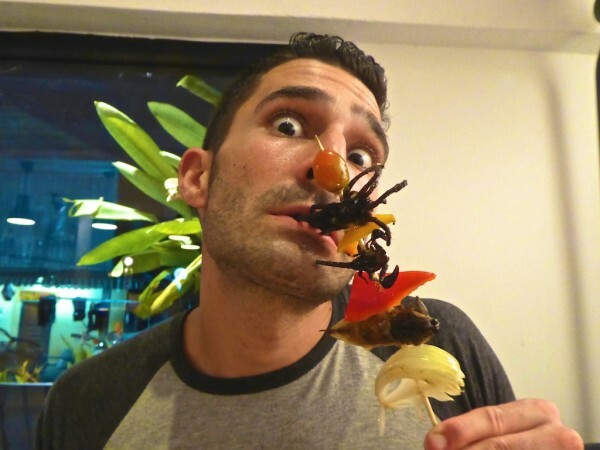 At the BUGS Café try the ‘taster platter' consisting of fried tarantula, scorpion and water bug, a stir fry of silk worms and crickets, and a chopped ants samosa. Go on we dare you! (Note, they do offer foods without insects too). End the day with a stroll through Pub Street visiting one of the many bars there for a drink. 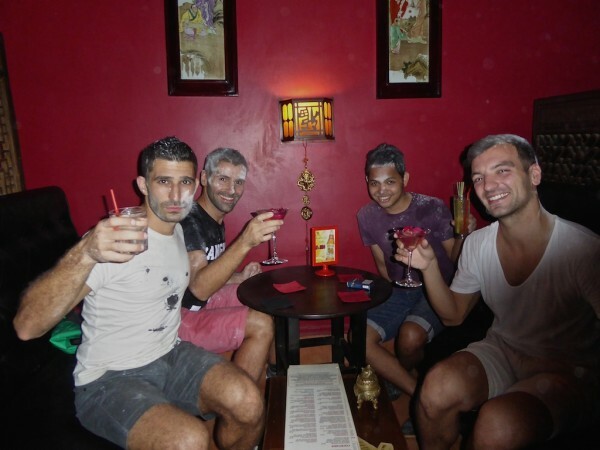 Check out our gay guide to Siem Reap's bars for the most gay friendly. 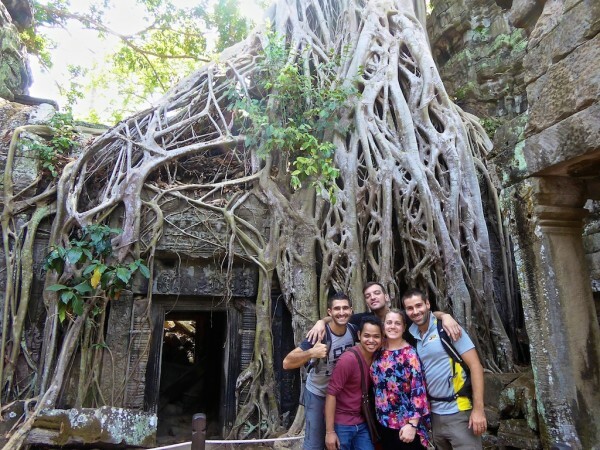 For more inspiration, check out our buddy Claudia's awesome post about the best things to do in Siem Reap. Thanks for the story, itinerary and photos. Now I know the name of the temples a lot better. Since I am going there next month, it will help me in planning my 2 days itinerary. By the way, your photos are very nice ! Great shots. You can do that or a few one day passes from what we recall. Nice whistlestop tour! You need to come back to Siem Reap so we can take you to all the best places to eat (vegan) food – some awesome affordable luxury eating to be done. Love that you included Phare Circus too – we’re off to see another show with them again soon, so impressive. Thanks Caryl, definitely need to return. The Phare Circus was probably one of the best things about Cambodia in our opinion. Just stunning and really touching!